At least one announcement from Bethesda’s E3 2017 presser has already leaked and…drums roll…it’s The Evil Within 2. Two different advertisements for the game briefly appeared on Reddit and were spotted by users across the internet. You can see screenshots of them below courtesy of NeoGAF and Gematsu (click or open in new window to enlarge). It’s unclear if they’ve been pulled yet or not. Bethesda returns you to the nightmare in The Evil Within 2. Now available for preorder. How will you survive? 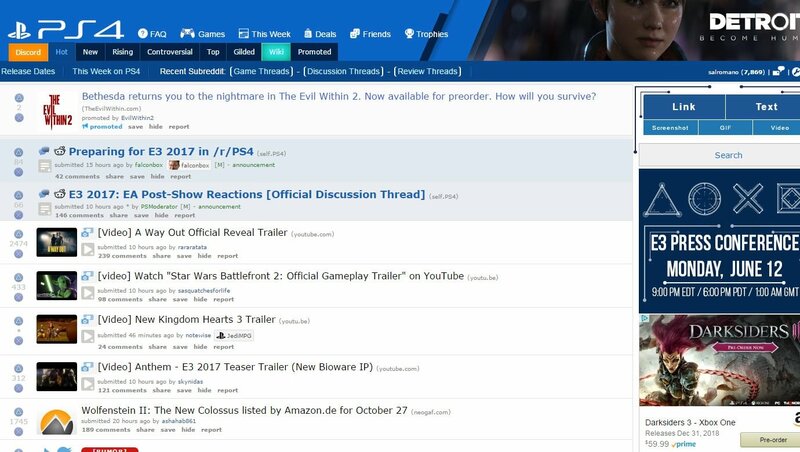 This shouldn’t come as a surprise because reports of an Evil Within sequel have been floating the web for quite some time. When Bethesda teased two new game announcements with its E3 2017 press conference invitation, everyone’s first guess was The Evil Within and Wolfenstein sequels. Speaking of Wolfenstein II, a listing for that appeared on Amazon just yesterday. Expect both announcements during Bethesda’s presser at 9.00PM PT tonight (or 12.00AM ET / 5.00AM GMT on June 12 for folks in those regions).